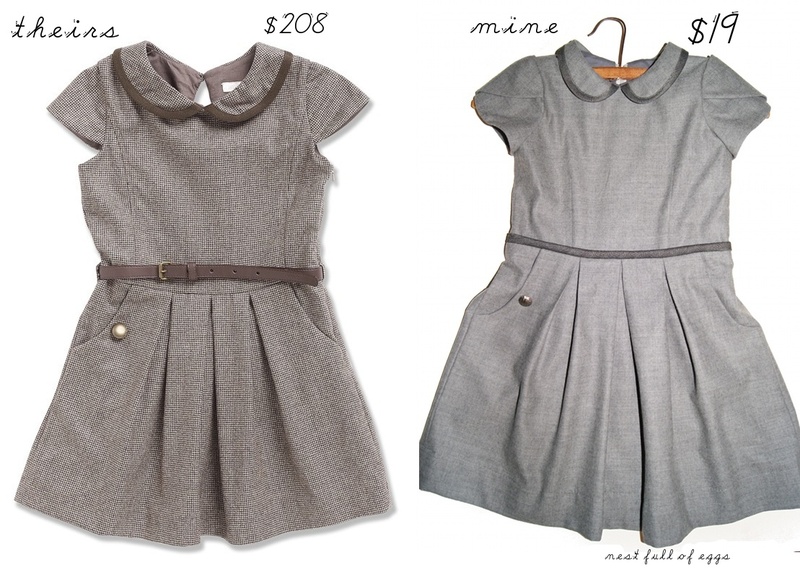 I'd been wanting to sew my daughter a dress similar to one that I saw at an online boutique, I thought I could sew something very similar and save a lot of money. So I knocked it off, it's called the Gabriella Dress and it's from Marie-Chantal Children, an online boutique based in London, and the dress sells for $208. 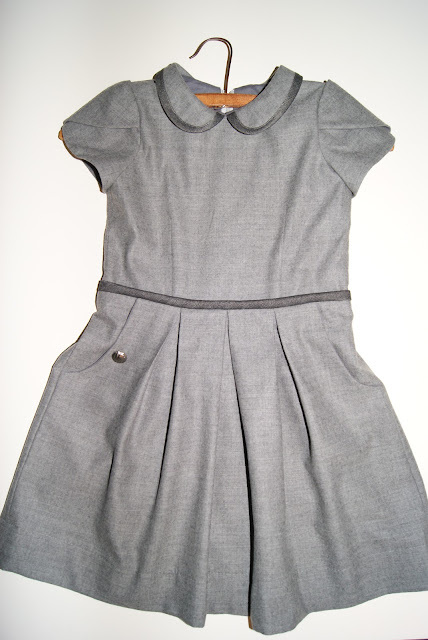 (Instead of brown puppy tooth fabric (or navy as is shown in the other color option for this dress), I used solid gray wool). 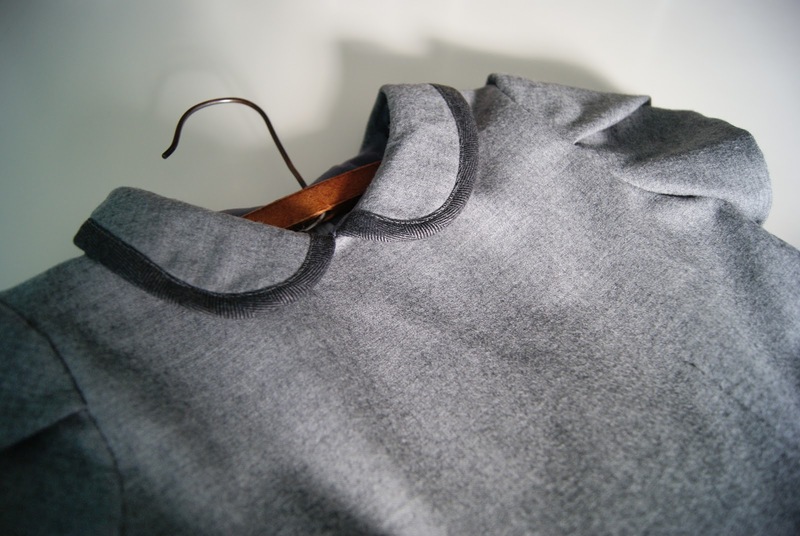 Today I'm going to show you how I took 2 sewing patterns and tweaked them to knock off the Gabriella Dress. I used the Fairy Tale dress, a sewing pattern from Oliver+S. And to add pockets to the dress I adapted the pocket parts from Melly Sews Clean Slate Pants. 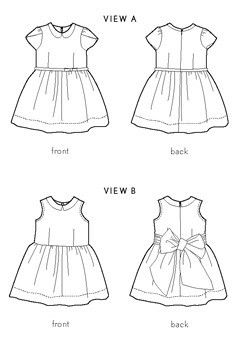 From the Fairy Tale dress pattern I followed View A, but I eliminated the crinoline. Instead of cap sleeves as shown on the Gabriella dress, I went with the tulip sleeves as shown in View A of the Fairy Tale dress. 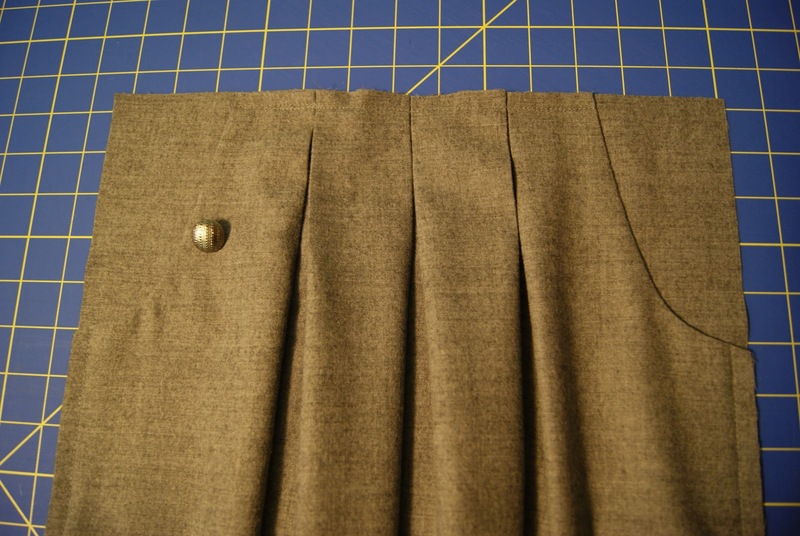 And instead of a detachable store bought belt as shown on the Gabriella dress, I went with the tubular waistband (without the front bow) as shown in View A of the Fairy Tale dress. 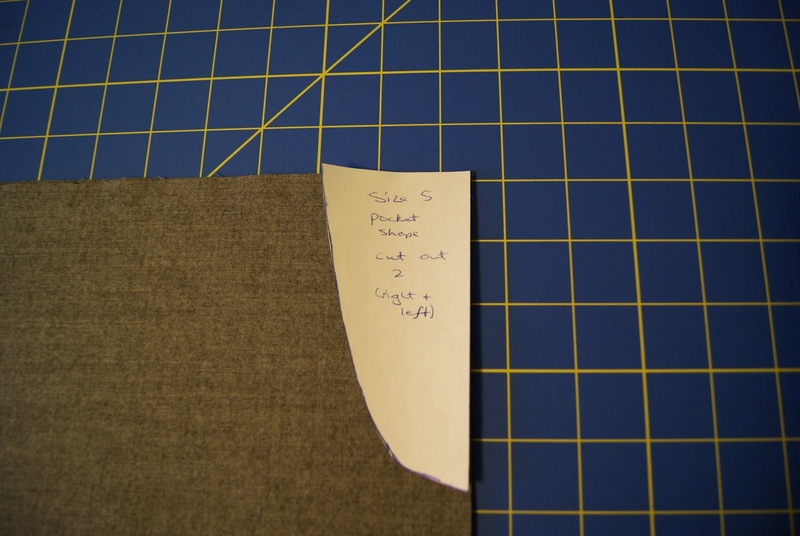 I adapted the pants pocket parts (from Melly Sews Clean Slate Pants) as I needed right angles in the corners of the skirt front. I then used those new patterns I made to add side pockets to the front skirt piece. 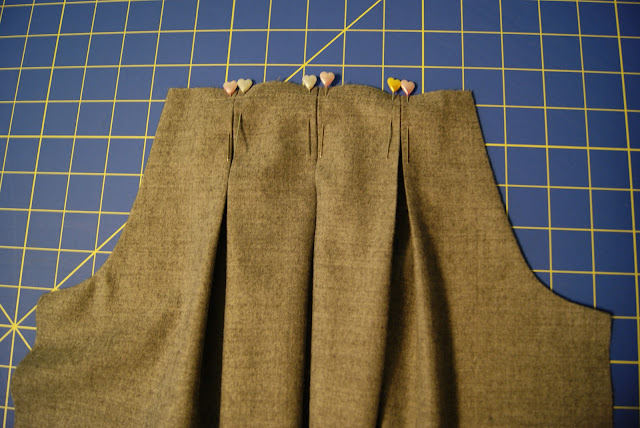 Next, I added 3 box pleats to the front of the skirt (I kept it gathered in the back of the skirt as shown in the Fairy Tale Dress). I finished the pockets according to the pants pattern instructions. 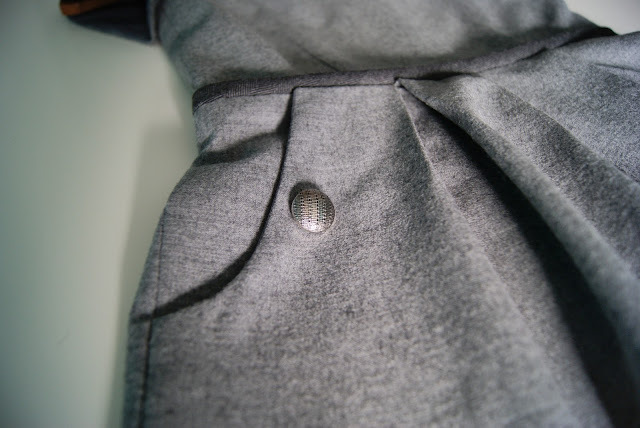 And I also added one silver shank button on one pocket, the button is non-functional, purely for decoration only. I had some charcoal gray wool leftover from a previous sewing project for the collar & waist details. On the peter pan collar I added bias tape trim in the charcoal gray. 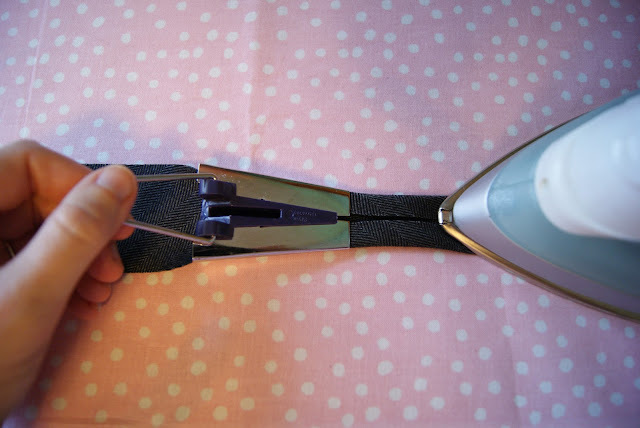 To do this I made my own bias tape by using a 1 inch bias tape maker. 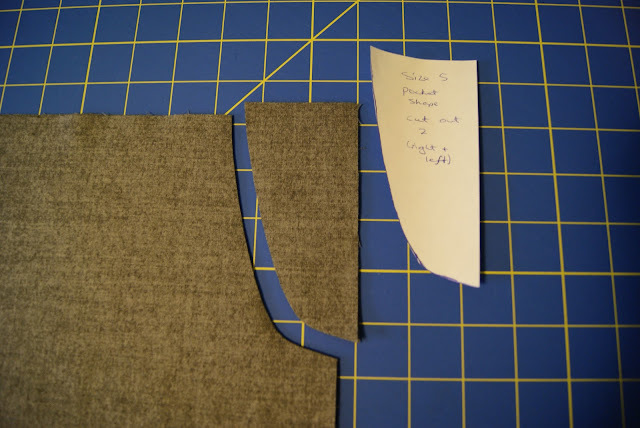 I just wanted to add that I later had another idea for achieving the same look for the collar: the double collar method. One reason to do a knock off is to save money, for materials it cost me about $19 to make this dress, saving me about $189! As you may have noticed I ended up later adding a 2nd silver shank button to the other front pocket. This was done by my daughter's request, she likes symmetry, but it totally made sense since I bought the buttons in a package of 2 and the other button would have just been sitting around unused. I must admit that I am not a huge fan of sewing in (dreaded) set-in sleeves, but these tulip sleeves were a dream! 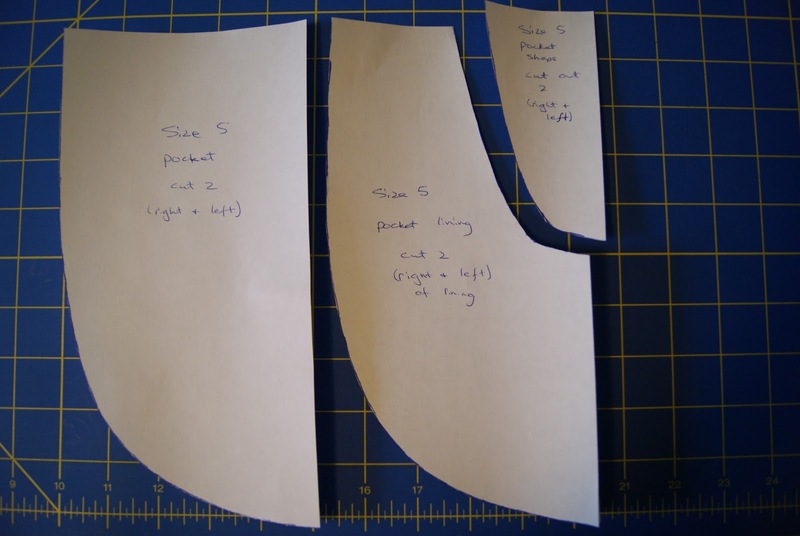 A warning about this dress pattern and one of the reasons it is given a difficulty rating of 3 out of 4 scissors is that it is very time consuming to sew ~ it's all those wonderful details. 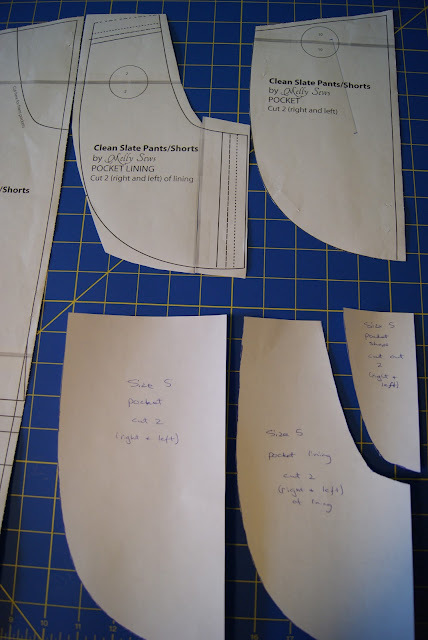 In the designer's (Liesl Gibson) words, referring to the Fairy Tale Dress Pattern: "I’ve seen dresses like this in boutiques with some giant price tags attached. Find yourself a gorgeous fabric and have fun with this one! People won’t believe it when you tell them you made it yourself." My daughter has already gotten many compliments on her Gabriella dress knock-off, she loves it, and I'm very pleased with how it turned out, too, so it's a mega hit! PS the modeled photos were taken at the American Swedish Institute (in Minneapolis, Minnesota) decorated for a Nordic Christmas.